The moment I popped off the lid to this pretty pink candle, a fresh citrus grapefruit wafted all around me. The floral component seemed really light and I was totally okay with that. I have a love/hate relationship with floral scents but blended with something fruity, now that I can handle, and this fragrance definitely falls into that category. Interesting mix of fragrances. 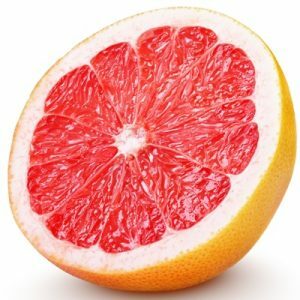 To my nose, grapefruit stood out the most to me. Everything else in the description was a little harder to pinpoint but who knows what scents will come to life once burning. I lit this candle in my master bedroom to start out and waited for the Grapefruit Hibiscus magic to begin. A good 6 hours in, I realized this candle needed to be moved to a smaller room. Large Colonial jars usually have no problems scenting large rooms but this one struggled. I could smell the aroma if I was directly around the candle but that was it. Once moved to a medium size room… much better!! The fragrance filled my guest bedroom with ease and boy was it fresh and pretty. I smelled a sweet grapefruit all the way along with something else that reminded me of a soft perfume intermingled with it. I’m guessing that was the black currant and cassis. Musk and sandalwood? I couldn’t make those two out and I was okay with that. To me, this candle smelled like grapefruit with a hint of fresh perfume. It was very pretty. Strength – I would rate this fragrance/candle a 5 out of 10 in a really large room. 8 in a medium and 10 in a small room. This candle struggled a teeny bit to reach a full melt pool but with a little help with my trusty wick dipper, I was able to push the wax that wouldn’t melt into the wax pool, so all the wax melted. Not a big deal but something I do like to point out. Other than that, this candle burned great. 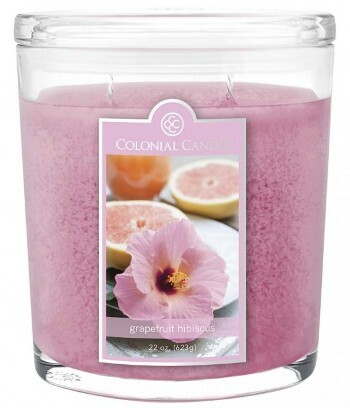 Grapefruit Hibiscus is a great candle to try if you love fresh citrus/floral scents and on the girly side. I don’t know if it was the pink wax and the fresh perfume fragrance combined but to me, this was a very girly-girl candle. Very fresh and pretty. Should you see this fragrance when you’re out and about, give it a sniff and tell us what you think.